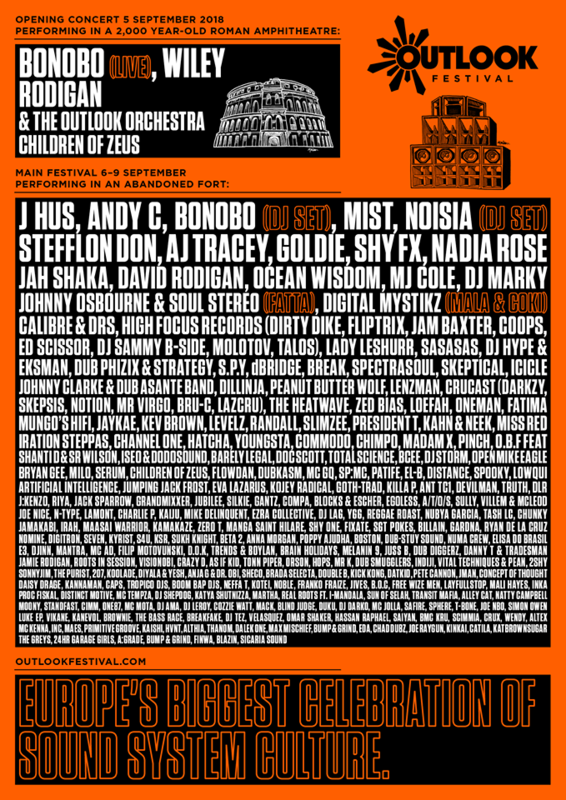 Every year in September, Outlook brings together 12,000 music lovers from around the world to enjoy the best sound system culture has to offer in one of the most surreal locations ever imagined for a festival. Set in an abandoned 19th-century fort nestled over the Adriatic sea, with daytime beach sessions and countless boat parties, Outlook is a perfect combination of a quality music festival and a holiday, soaking up the Croatian sunshine. Revealed in January, the line-up consistently brings together the finest purveyors of drum & bass, hip-hop, garage, grime, dubstep, dub, reggae, house, techno and electronica to play on some of the best sound systems in the world. More previews to follow right here on Real Roots website and be sure to check our Facebook page for lots more reggae tings!